If you have erectile dysfunction, desperation can drive you to consider almost any option. But it’s important to avoid the temptation of buying any drug that isn’t currently licensed and regulated for sale in the UK, particularly when buying online. All websites operated by legitimate UK/EU medicine sellers must by law display the ‘EU common logo’, which will link to that companies details on the register held by regulators. Regulated online pharmacies have to meet rigorous standards, and the medicines supplied have all gone through initial drug trials, with each batch produced subject to ongoing quality assessments by UK/EU regulators (see generic medicines FAQs for further information on quality checks). Only certain brands (and generic version if patent has expired) and concentrations of erectile dysfunction medicines are legally available in the UK. 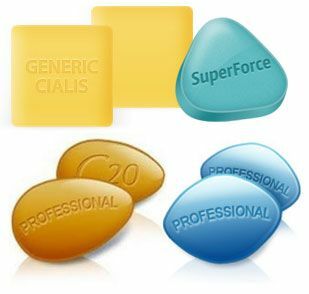 For instance the maximum dose of Viagra (and sildenafil) is 100mg, but you will find stronger dosages on the internet (eg: “Viagra 200”, “Cenforce-200”). In studies, 200mg of Viagra (sildenafil) didn’t work any better than 100mg, but will increase the risk of side-effects. Erectile dysfunction medicines sold under a name that varies from the registered brand, or the name of the active ingredient, such as sildenafil, or with a dosage above the official preparations is considered counterfeit/fake (‘falsifed’). The product received could contain harmful or non-active ingredients or unmediated levels of active ingredients. With an unregulated website, the product may not arrive, and your payment details could be released and used to commit fraud. Data submitted to an illegal site will likely be released to third parties, who may then contact you by email, telephone, or post. No recourse if the so-called business doesn’t deliver what was promised, or provides products of lower value. The sites are not legal, so if the order fails to arrive there is little the consumer can do about it. The risks of buying non-licensed medicines are detailed in our article Buying Kamagra online. Due to the low cost and easy ordering process of legitimate Viagra and generic sildenafil in the UK, there is no need for patients to risk their health by bypassing the important medical screening process and ordering unregulated products from services with no regulatory oversight. Erectile dysfunction can be treated safely and cost-effectively by following standard medical procedure for consultation and prescription. The Dr Fox website, for example, complies with the Health and Social Care Act 2008, is regulated by the Care Quality Commission, and is also registered with the General Pharmaceutical Council. The prescription services are carried out ethically and keep patients informed, and the website keeps patient details secure and confidential. These are the standards necessary to maintain a legitimate online pharmacy. Thinking of buying medicines online? Make sure you know what you are getting. Illegal medicines are a growing problem. Stay safe and use only websites displaying the MHRA‘s EU common logo. Posted on July 13, 2016 October 13, 2016 by Dr Tony Steele in Cialis/tadalafil, Cost of medicine, Erectile dysfunction, Levitra/vardenafil, Online clinic, Spedra, Viagra/sildenafil.